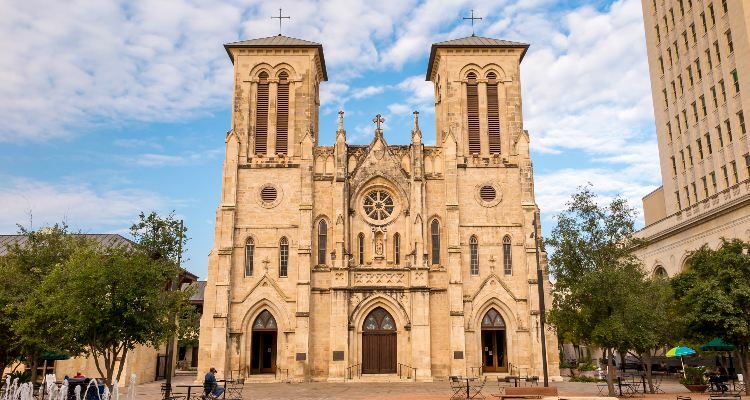 Whether traveling to San Antonio missions and landmarks for a wedding celebration, corporate event, school field trip, or private travel, travel with ease while booking a bus tour of the city marvels. Travel groups can streamline their transportation from their hotels to San Antonio missions as well as any other attractions around the Texas area. A professional driver will then be able to coordinate all the navigation and parking while assisting travelers with their unique itinerary at 210-686-0796. The city of San Antonio is the ultimate adventure spot for family and friends as the urban scene marks an essential turning point in Texan history. Home to the timeless “Remember the Alamo Mission,” the region has developed from a colonial province into an iconic stomping ground for historical enthusiasts and artisans for the past 30 decades. Beyond the San Antonio skyline lies the city’s rich heritage, dating back over 300 years in history to its Spanish, Texas founding. The mission has since been etched into the archives of history as the most critical battle in the Texas revolution, a radical rebirth from the state’s original seat as the Spanish Republic of Texas. 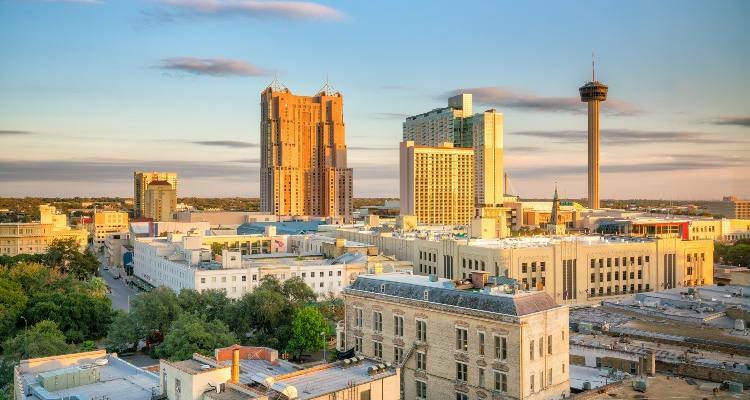 As the second most populous city in the state, the modern mission city is now a crossroads of culture from its bustling Spanish attractions to its Texas rodeos, sure to dazzle any newcomer. The multicultural tourist attractions are a famous stop for nature lovers, history buffs, or an adventurous group of friends. Travelers can often trace their own historical roots to the best sites of San Antonio. Each voyager can also commemorate their experience with a custom ride through the vibrant art, history, and culture of the city. 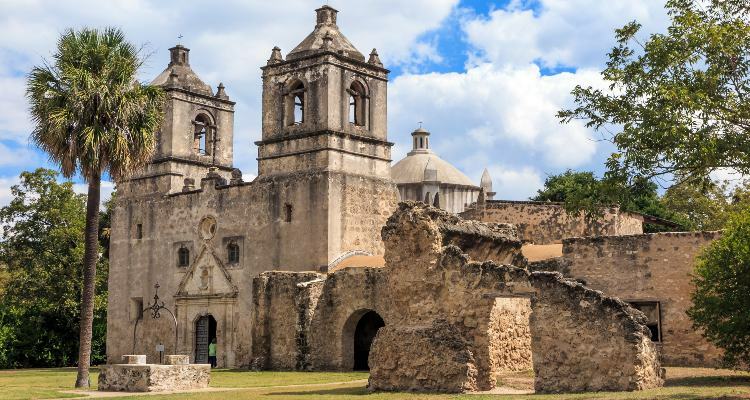 Discover the secret Spanish missions and churches that gave rise to the great state of Texas. Looking to discover how to enrich your trip with fascinating historic sites and notable landmarks? 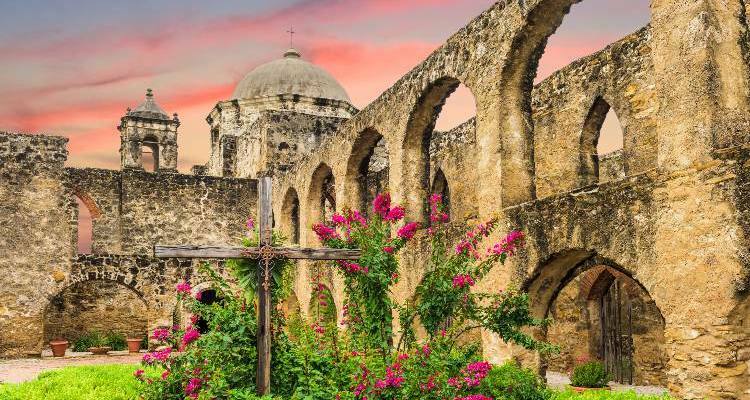 Each of the San Antonio Missions represents many events in early Texan history such as 17th-century explorers, Southwestern Native American groups, Spanish colonization, The Battle of the Alamo, stonemasons and builders. Travel back in time as you find little pieces of history along the way. Here’s a list of travelers’ top mission destinations in the city of San Antonio. Tourists’ first stop is often The Mission of the Alamo, the 300-year-old ancient Spanish mission that was turned into a battleground for Texas’ independence on March 6th, 1836. The monument is now a memorandum for the Texian soldiers who won the battle at Santa Anna, leading to the ending of the Texas revolution. The stonemason is a beautiful scaffold of layered stonework that leaves visitors, far and wide, completely speechless. Travelers like to tie up the memory of the victorious fight for Texan independence by collecting some unique “Remember the Alamo” souvenirs in the gift shop. This historical mission site represents the “Spirit of Sacrifice” in San Antonio. Located near the front of the Alamo, it stands to commemorate the soldiers who chose to bravely defend the Alamo rather than surrendering to Mexican troops. The cenotaph, or empty tomb, was designed by the San Antonio architecture Italian-born sculptor Pompeo Coppini who conceived and executed the monument in 1936. It now remains as one of the most popular city attractions. Built two centuries ago, Mission Concepción stands tall, remaining as the oldest unrestored church in America. The Old Spanish Mission provides open tours of the site for families of all ages. The monument provides natural landscapes that reveal its Native American ancestry. Since its founding, the church’s Hispanic traditions have lived on through the centuries. This historical national park offers a fresh new perspective into the history of San Antonio. The park provides a wide selection of significant attractions that have prevailed throughout the city’s history. This mission was originally built for the purpose of preserving the history of the lively city, but has now become a popular destination for kids and youth! Families often enjoy allowing their kids to become a junior ranger while exploring the park with a real-life park ranger. This park is perfect for travelers who enjoy exploring the preservation of the city’s unique history. This National Historical Church represents Catholicism’s long historical standing in the city of San Antonio. The church was originally founded as one of the Catholic Spanish missions established to bring religious order in the state of Texas. This is a quintessential spot for school field trips or family vacations. Students and families can partake in ranger tours at Mission San Jose, while appreciating the ancient architecture and enduring structure of the building. The Spanish Governor’s Palace is an ancient abode built during the Spanish-Texas period located in the Downtown San Antonio district in Texas. The one time Mid-1700s Spanish military residence is now a National Historic Landmark that’s been around for centuries. The landmark represents the last visual remnants of the Presidio San Antonio de Bejar. The Tower of the Americas is a popular local restaurant and bar nook providing visitors with panoramic views of the mysterious River City. From its 750-foot tower, you can witness a spectacular sight of the sun rising and setting over the skyline. The tower in the sky is located at the head of the San Antonio River in south-central Texas. Guests often enjoy a taste of the best dining experience that San Antonio Riverwalk restaurants have to offer. San Fernando Cathedral is an iconic landmark shining out in the city. The walls of the cathedral represent the deep roots of Texas’ spiritual standing that remain as the pillars of the state. Located in downtown San Antonio, the steeple faces the city’s Main Plaza. Its dome serves as the city of San Antonio's cultural and geographical center. The art museum takes you from the southern United States around the world and through ancient art exhibits dating back five thousand years of art in a complex of buildings. This art museum is a local favorite with its features of every culture and timeline. The museum houses ancient Greek, Roman, and Egyptian art in its collection. Explorers may also be enraptured by the early Spanish art from Texan history at the Nelson A. Rockefeller Latin American exhibit. This state park is a renown landmark for Texas, as it is deemed the home of the historian and native-born Texan who signed the Texas Declaration of Independence, Jose Antonio Navarro’s. The site was designated as a Texas State Historic Landmark in 1962, placed on the National Register of Historic Places, and finally a National Historic Landmark in 2017. Casa Navarro is now nationally significant as it allows modern travelers to explore the life of the Texas patriot in the heart of San Antonio. The site is now known as the National Trust Historic Site in the state of Texas. The landmark was the last home of a local preservationist, who was instrumental in the revitalization of the historic King William neighborhood. The Victorian house was originally built in 1876 and was restored in the late 1960s. Tourists can experience everything from tours and exhibits to museums and gardens in the historic setting. If you’re planning a trip to San Antonio and considering a private rental for transportation, Longhorn Charter Bus will help you arrange the best travel options for you. 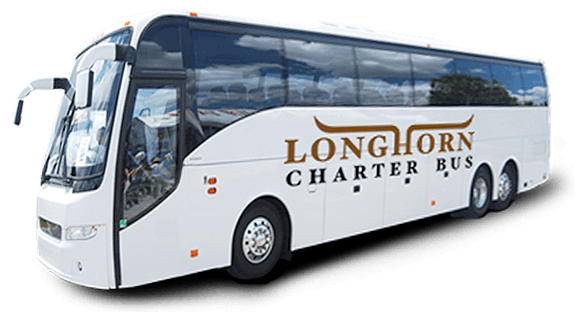 Longhorn Charter Bus has provided transportation around Texas and neighboring states for decades. Travel consultants are available 24/7 at (210)-686-0796 to assist you in your travels in and around the state of Texas. Book your travels with a representative for group booking solutions today! You may also visit other national historic landmarks such as Henry B Convention Center or Historic Sunset Station. There are also plenty of family events in the River City such as the mile-long River Walk, SeaWorld, and Six Flags. Take a bus to and around the best sites of San Antonio for a stress-free travel experience as you choose your personalized bus based on your own itinerary and needs.